This month we have the pleasure to introduce you to our great good friend, Tracey Saiki. Since Tracey found us she has been to just about every single Day at the Beach and Wounded Warrior Day at the Beach she can! Stoke, smiles for miles, and post surf selfies with her friends are what we get each time we see Tracey at the beach. We asked her a few questions, so with that – meet Tracey! Q: How long have been with AccesSurf? A: This past Nov will make 1 year. Q: How long were you with the Air Force? A: 26 years. I was Total Force – active duty, Hawaii Air National Guard, and Air Force Reserves. Q: What does surfing mean to you? A: Before the stroke, I used to surf and SUP. Water is sooo healing. I like the freedom and peaceful feeling. 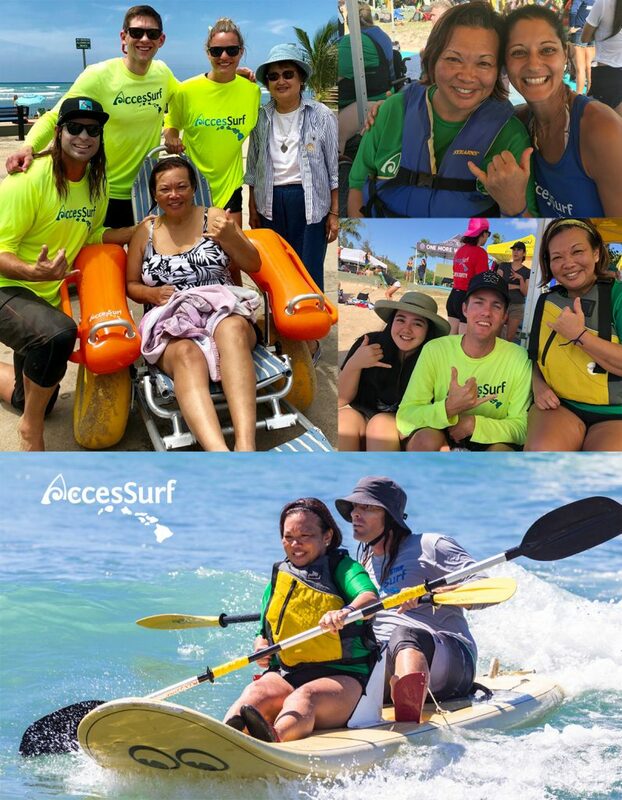 Q: How soon after your stroke did you join AccesSurf? A: I had my stroke on Dec 31, 2013. After my insurance ran out and PT/OT therapies were on my own, Kate Julian, former employee of Rehabilitation of the Pacific, mentioned the AccesSurf program to me at a Stroke Club event. I went to the AccesSurf website and filled out the on-line application so I signed up in November of last year. Q: What is your favorite part of AccesSurf? A: AccesSurf volunteers, community volunteers, and participants. To see unlimited possibilities whether your a stroke, wheelchair, amputee, or polio survivors, you can do it! Just being at the beach and surfing is wonderful. Waveski! 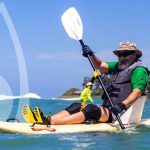 My goal this year is to ride the waveski on my own.